I have a close group of girlfriends that, for about five years, has gotten together almost every week to have dinner and watch The Biggest Loser. We laugh and cook and talk and live life together. We actually pay very little attention to the show, but the show isn’t the point anyway. It’s just a day that we can all count on to get to see each other, because the craziness of life can sometimes get in the way of quality time. 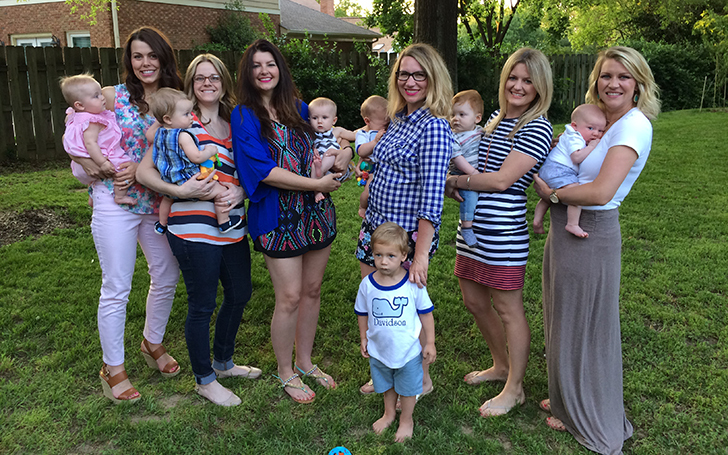 During the last year, of the eight of us, six have had babies within eight months. No, we didn’t plan that of course—that would be very weird. But I am so thankful for getting to experience this incredible new stage of life with my best girlfriends at the same time. With Mother’s Day right around the corner, I asked each of them one lesson that they had learned since becoming a new mom. Their words of truth and wisdom are not only refreshing for new moms, but they ring true for veteran moms, soon-to-be moms and anyone that is a mother figure to someone else. This Mother’s Day, I hope you find joy, celebration and appreciation from your own family as well as the family of other mothers around you. After all, we’re all in this together! Happy Mother’s Day! #6!! THIS! That was hard for me to learn and accept. I need balance, and if I give every drop of myself to my family, I am a shell running on fumes! I am a woman and person too, behind the roles of wife and mother. I need to keep my own interests, and pour into my marriage, because one day those kids will be grown and gone, and all I will have left is my spouse and myself. I don’t want to be the mother-in-law who is so lost and floundering with the new roles and identities, that she becomes that meddlesome woman who gets ranted about on the internet. I want my kids to not be put in the middle, having to stand up for their mate, and feeling like they have to be the bad guy. I want to be the cool mother-in-law who applies judicious meddling to where it is most important or most beneficial to everyone involved – especially any children they have. Great post! So true and great for moms to remember!